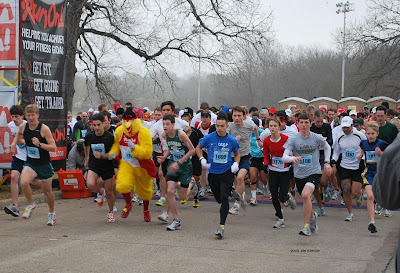 The start of the Too Cold To Hold race held this morning at Norbuck Park in Dallas, Texas. The winner is in this picture, can you pick him or her out? I uploaded two videos on You Tube of the start of the race and the 5K winner crossing the finish line.